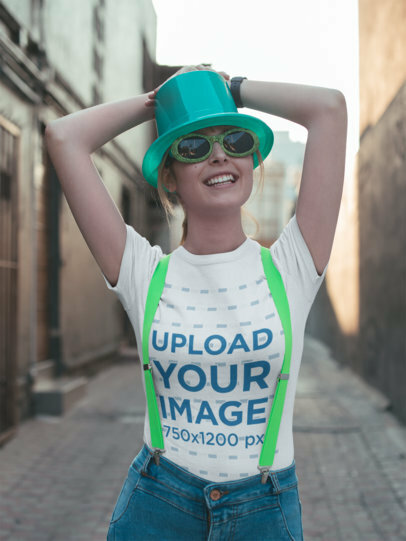 Show off your cool tee designs just in time for St. Patrick's Day! It's super easy, all you have to do is edit the settings to your liking. 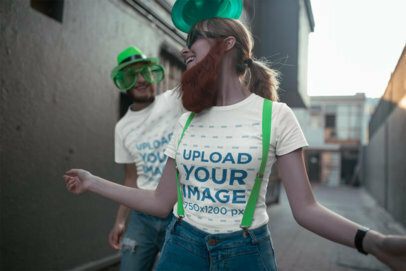 Placeit has a ton of cool mockups that will be perfect for St. Patty's day. Don't worry about downloading any complicated software, it's all ready for you to use. Edit your St. Patrick's Day mockup now. 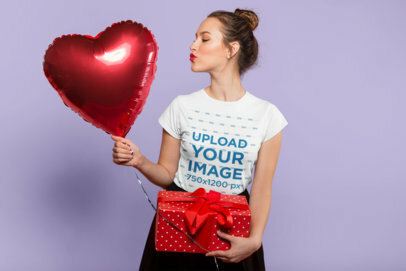 Promote all your amazing Valentine's Day designs with Placeit! 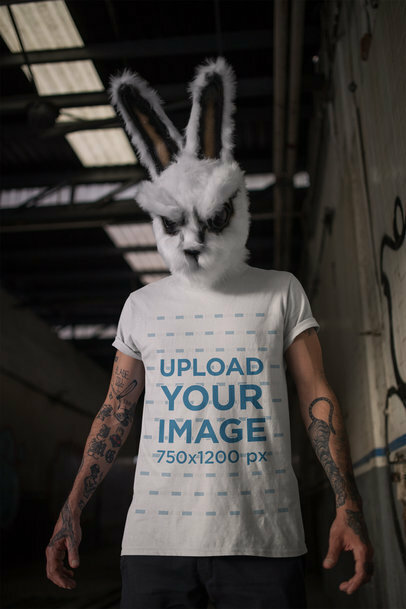 Our mockups already provide everything you need to create an awesome image. Try it out, you can even make this background transparent. Your design will be front and center. 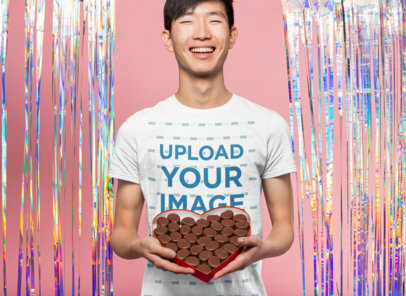 Edit your Valentine's Day mockup now. 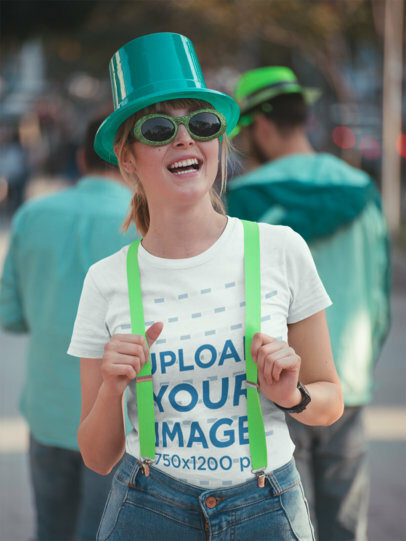 Get ready for St. Patrick's Day with our easy to use t-shirt templates. 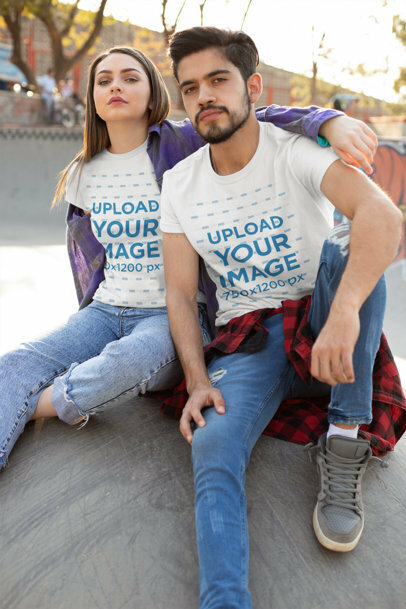 These will work perfect for your brand, just edit the settings to your style. You won't even need to download any additional software, you can do it all on your own. Cool, right? 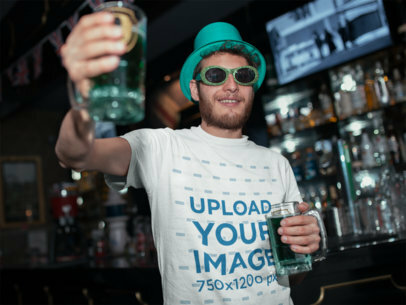 Edit your St. Patty's mockup now. 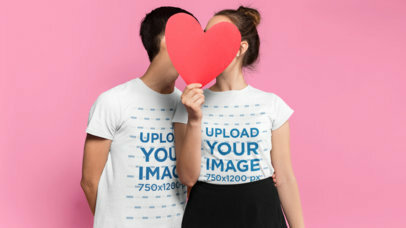 Create a gorgeous visual if you are looking to promote your latest design for Valentine's Day with Placeit's mockups. Start now, make your revenue grow this February by showing your design with a romantic and beautiful visual that your customers will definitely love. 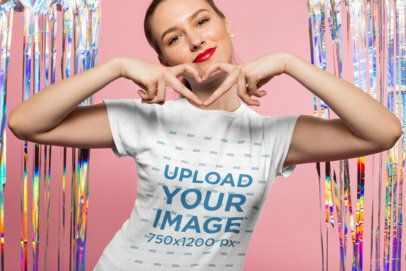 Start now, sell Valentine's Day t-shirts with Placeit's t-shirt mockups for Valentine's. 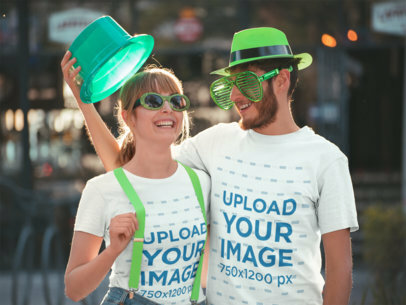 Get on your festive spirit and show your personalized T-Shirt this St. Patrick's Day! 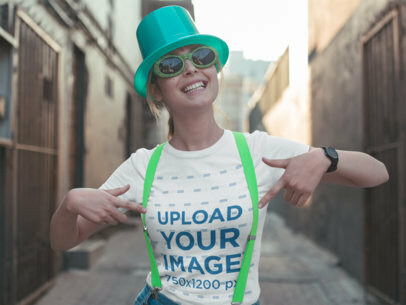 Celebrate with this Placeit T-Shirt Mockup just how easy is to show your own way of partying and parade in style. Try it now! 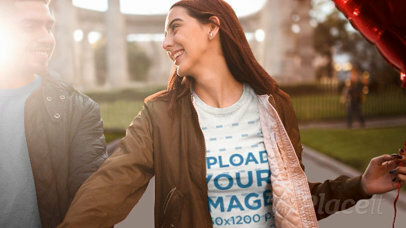 Promote awesome tee designs with Placeit's easy to use mockups. You can have amazing t-shirt designs just in time for St. Patrick's Day. Just customize the settings to your style, and you'll be ready to post in no time. Cool, right? Try it out now. Made awesome Mug designs? 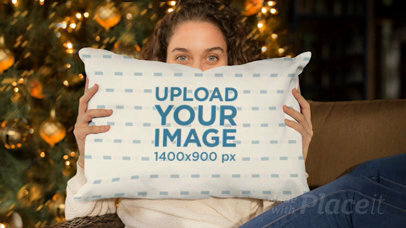 Start showing them off with our print mockups! 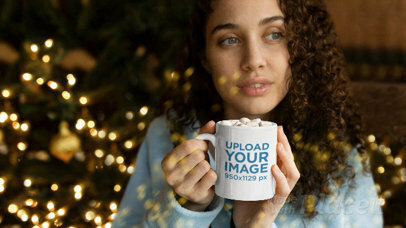 This one features a cool woman holding her mug with hot cocoa on Christmas! It's super joyful! 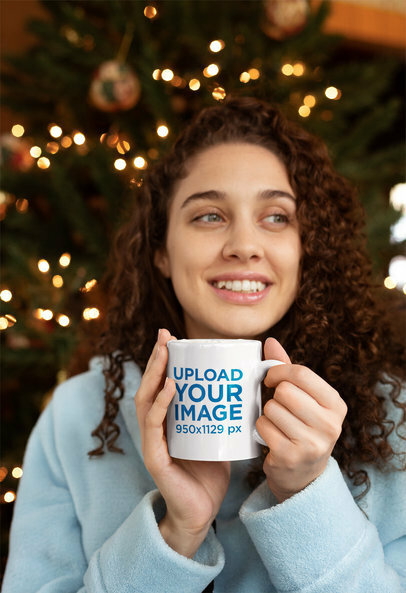 Your design will be front and center and you can even change the mug's color. Try it out, it's easy. 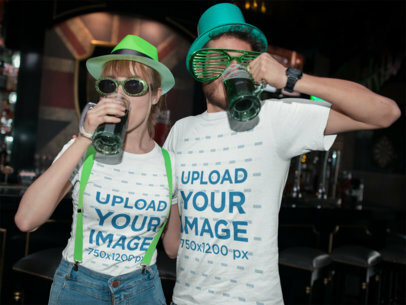 Promote awesome St Patty's Day designs with our cool templates. It's so easy, all you have to do is edit the settings to your liking and you'll be ready to post in no time. This mockup is perfect for St. Patrick's Day. Your brand will be front and center and no additional software is necessary. 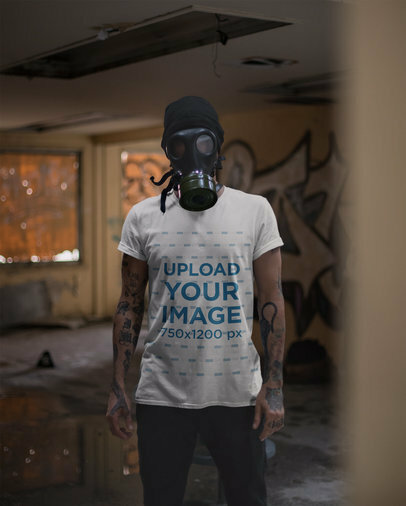 Try it out, create your tee mockup now. Promote your cheerful designs just in time for St. Patrick's Day! Placeit has a ton of cool mockups perfect for you. 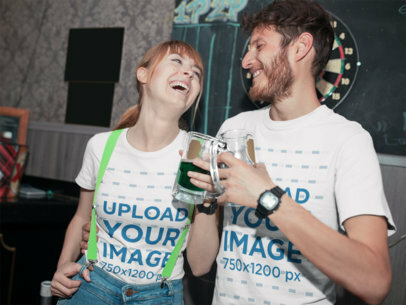 Just customize the settings to your liking and your mockup will be ready just in time for St. Patty's Day. Cool, right? 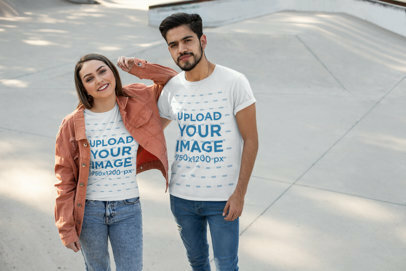 Try it out, edit your t-shirt mockup now. 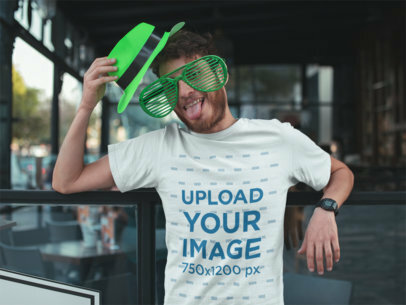 Show off your amazing St. Patrick's Day designs on a mockup that actually represents the holiday. It's so easy, just edit the settings to your liking and you'll be ready to post in no time. Cool, right? The best part of all, no additional software is needed. Try it out now. 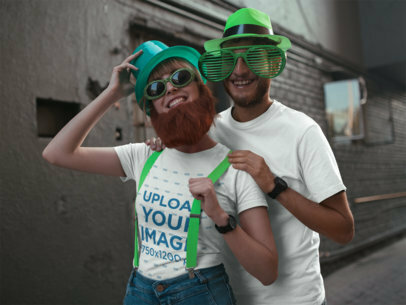 Edit your St. Patrick's Day mockup now. 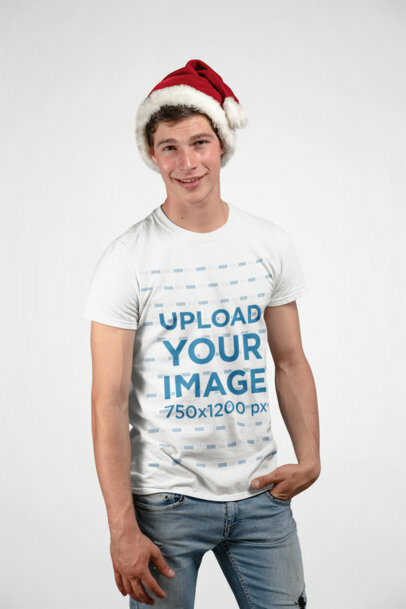 Get in the festive mood while promoting your custom tees with this mockup from Placeit. This fun picture features two smiling friends wearing green hats, glasses, suspenders; she is even wearing a fake ginger beard! 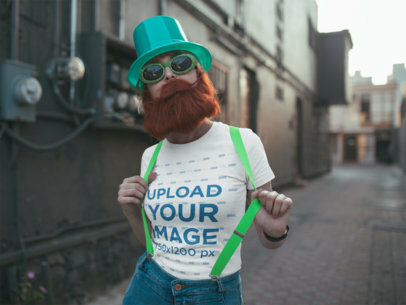 Don't miss the shot to amaze your audience with this St. Patrick's day mockup. 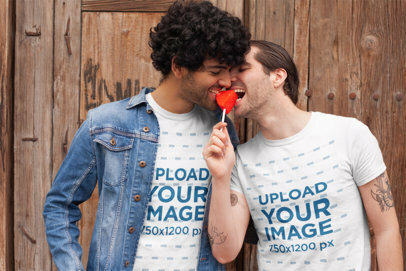 Get ready for Valentine's Day with the most amazing mockups from Placeit. Our mockups feature the best models, locations, and apparel. The best part of all, they're ready to use with no additional software required. Try it out, customize the settings to your liking. Edit your Valentine's Day mockup now. 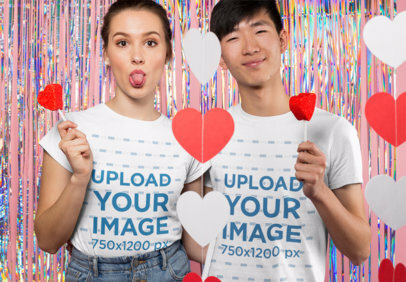 Celebrate Valentine's Day for your brand with the most amazing mockups from Placeit. Our mockups feature the best models, locations, and apparel. The best part of all, they're ready to use with no additional software required. Try it out, customize the settings to your liking. Edit your Valentine's Day mockup now. 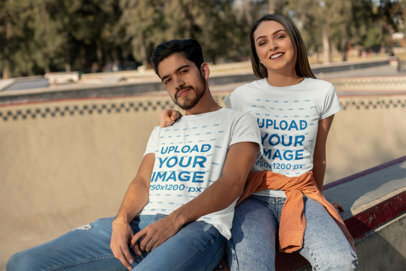 Promote your cool t-shirt designs just in time for Valentine's Day! 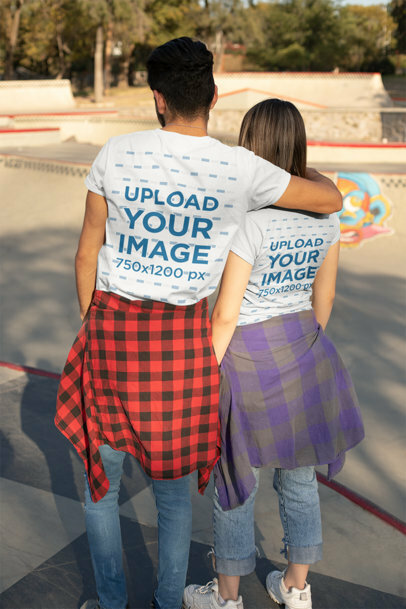 Placeit's easy to use tee mockups bring you all the tools you need to create an awesome image for t-shirt designs. This one features a cute couple celebrating Valentine's Day, cute right? You can even change the tee's color. 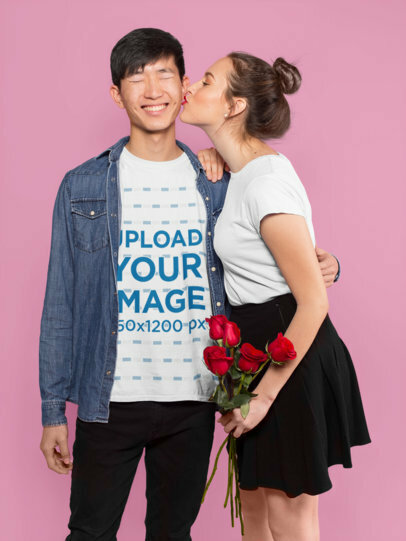 Try it out, edit your Valentine's Day mockup now. 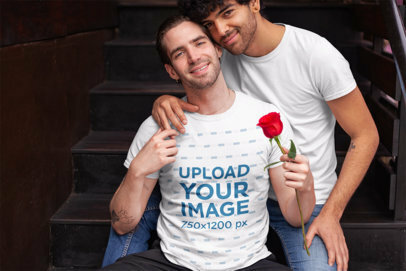 Looking for the perfect image for Valentine's Day? Look no further, Placeit's got everything you need. We offer a ton of mockups that will fit perfectly with your designs for Valentine's Day. Just customize the settings to your style and you'll be ready to post in no time. Cool, right? Try it out, it's easy! 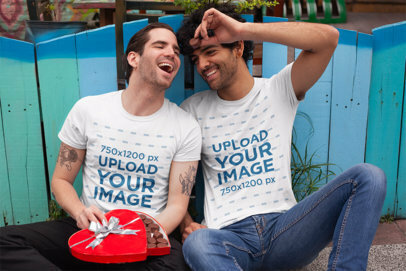 Create an amazing promo for your brand just in time for Valentine's Day. 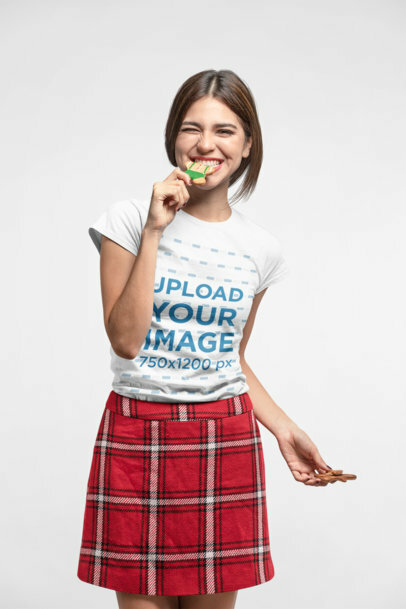 Placeit's easy to use apparel mockups feature a ton of cool models, locations, apparel, and more. Try it out, just customize the settings to your style. 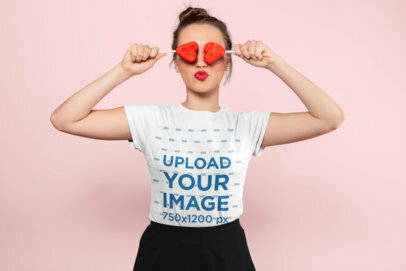 Edit your Valentine's Day t-shirt mockup now. Creating amazing ceramic mug designs? Start showing them off just in time for the Holiday Season. Placeit has awesome mockups just for you. 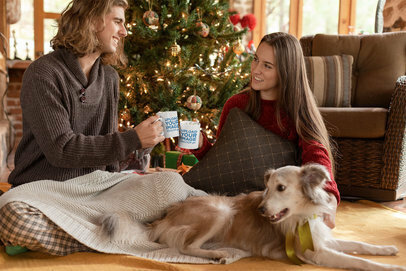 This one features a couple drinking hot chocolate by their Xmas tree. Cute, right? 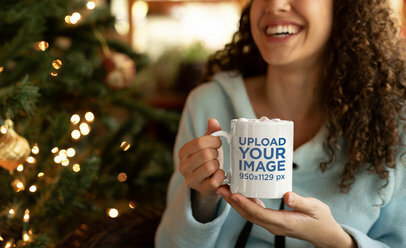 Try it out, your design can go on both mugs! 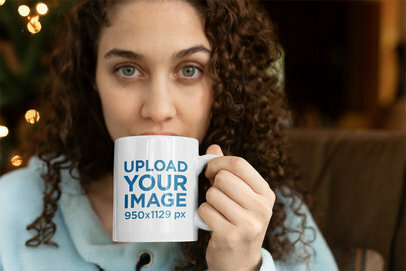 Edit your mug mockup now. 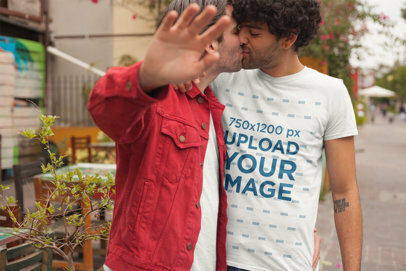 Get ready for Valentine's Day with the most amazing mockups from Placeit. Our mockups feature the best models, locations, and apparel. The best part of all, they're ready to use with no additional software required. Try it out, customize the settings to your liking. 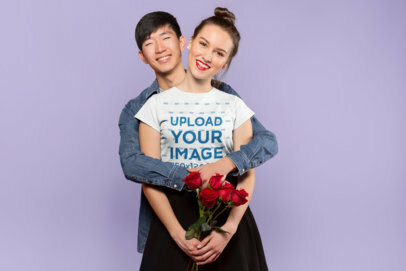 Get ready to show off your tee designs just in time for Valentine's Day. 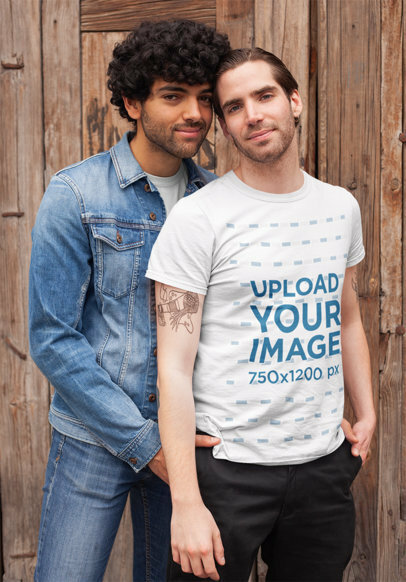 Your designs will look amazing on this LGBT mockup. It's easy, just edit the settings to your liking and you'll be ready to post in no time. Try it out, it's super easy! Edit your Valentine's Day Mockup now.